4 Season Sports offers a wide variety of bait both live and prepared. 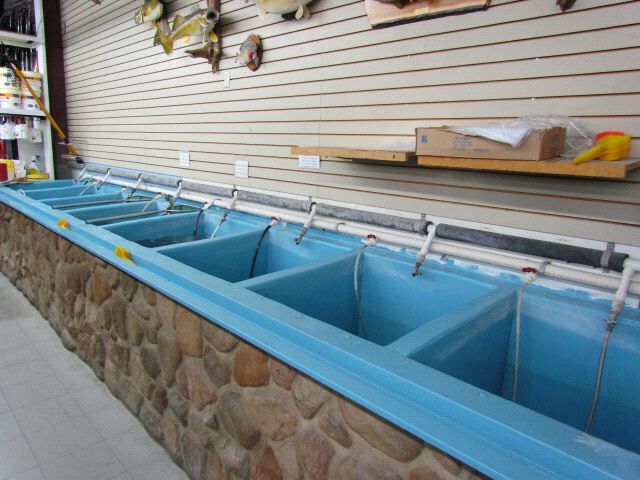 Our minnow tanks are filled with a continuous supply of fresh well water and lots of air. These features combined with regular shipments of fresh bait aid in making our minnows the liveliest and most durable you will find. Added to these Minnows we carry several more on a seasonal basis including: Willow Cats, Shiners, Creek Chubs, Mud Minnows, and Bullheads. Besides live bait we have several types of prepared baits including catfish dough baits, chicken liver, shrimp, cut bait (chubs and suckers) and powerbait jars.